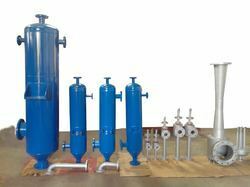 Prominent & Leading Manufacturer from Ahmedabad, we offer zero liquid discharge system, vacuum systems, high vacuum systems for edible oil refinery, barometric (direct contact) type condenser for vacuum system - edible oil refinery and steam jet ejector vacuum system with baromatric condenser for edible oil refinery. To serve the requisite demands of packaging industries, we are engaged in offering a qualitative range of Zero Liquid Discharge System. Industrial plants, offered by us are in line with the international quality norms. 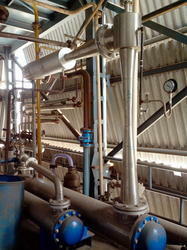 These industrial plants are much famous in the market, owing to their exceptional quality elements. 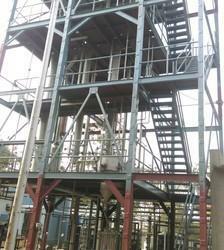 Clients can avail these well designed industrial plants from us in miscellaneous specifications. Amidst our wide range of industrial machines, we are also engaged in offering a wide range of rugged designed Vacuum Systems (For Edible Oil Industries).These vacuum systems are quality checked in ahead of their closing dispatch. 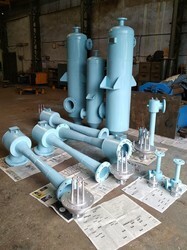 Apart from this, we provide this excellent quality and well designed vacuum systems in diverse specifications, in order to meet comprehensive requirements of revered clients. Amidst our wide range of industrial machines, we are also engaged in offering a wide range of rugged designed Hydro Vacuum Systems (For Edible Oil Industries) .These vacuum systems are quality checked in ahead of their closing dispatch. Apart from this, we provide this excellent quality and well designed vacuum systems in diverse specifications, in order to meet comprehensive requirements of revered clients. Amidst our wide range of industrial machines, we are also engaged in offering a wide range of rugged designed High Vacuum Systems (For Edible Oil Industries). These vacuum systems are quality checked in ahead of their closing dispatch. Apart from this, we provide this excellent quality and well designed vacuum systems in diverse specifications, in order to meet comprehensive requirements of revered clients. With firm commitment to quality, we are manufacturing, supplying and exporting a comprehensive range of Barometric (Direct Contact) Type Condenser For Vacuum System - Edible Oil Refinery. With firm commitment to quality, we are manufacturing, supplying and exporting a comprehensive range of Steam Jet Ejector Vacuum System With Baromatric Condenser For Edible Oil Refinery. Looking for Vacuum Systems ?